Let’s be honest, from the moment a bride says ‘YES’ to that illustrious piece of jewelry on her left ring finger, she’s turning that stress level up from ‘ugh, my mani isn’t doing this sparkler justice’ to ‘omg where are we going to get married’ and ‘waitttt, is that whisky you’re pouring at the bar? Uncle Al shouldn’t be having his eighth glass.’ An engagement is a special time between a bride and her partner, and if nerves and planning pressures are taking the fun out of it, then something or someone better step in to steal it all away. And it all starts with a destination dream and a team of top brass travel pros to turn those jet-setting wedding whims into reality. Couples, meet Apple Vacations. Apple Vacations, meet your unnecessarily stressed-out soon-to-be-weds, they’re in need of some assistance. Whether you’re the bride or the groom, imagining saying ‘I Do’ in a distant place, with soft, sandy beaches, blue skies to match the stunningly-cerulean surrounding seas, and inimitable amenities at your fingertips isn’t difficult to do. You’ll just need a wedding planner to navigate your nuptials, and Apple Vacations, the leading name in all-inclusive vacations, behind 50-years-worth of the most romantic destination weddings ever, is teeming with friendly and knowledgeable representatives at the ready. It’s truly the easiest way to plan your wedding when you have a PIC, like Apple Vacations, in place. As the nation’s largest provider of non-stop exclusive vacation flights, you and your crew (be it 20 of your closest compatriots or an anticipated list of 100+ wedding guests) won’t need to worry about GETTING to your big day. And that’s kind of the point, right? You’ll have access to an arsenal of experienced Destination Wedding Specialists who are distinctly devoted to making your planning process fun and stress-free (the magic words). You’ll pick up an endless supply of extras (which are anything but) to make your destination wedding more affordable for you and your guests. You had us as affordable…. 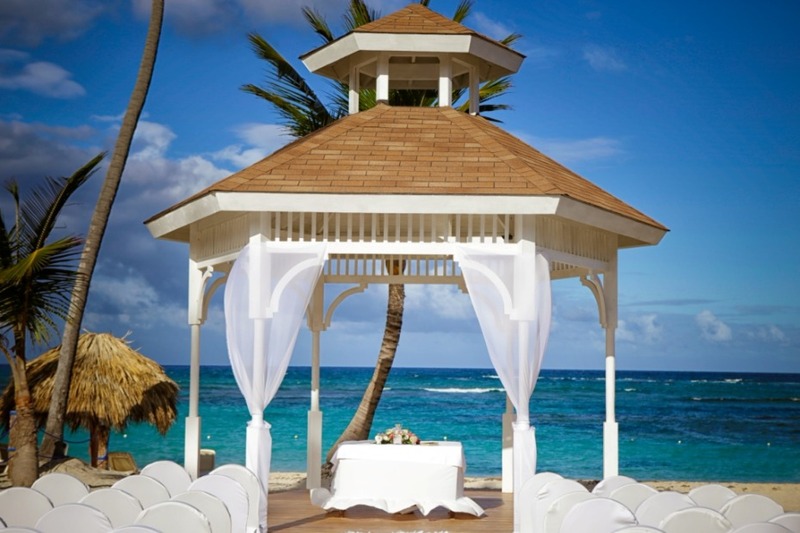 We did some rooting around on the company’s roster of wedding resort destinations - from Cancun to Curacao, Costa Rica to Cozumel - and winded up perusing Punta Cana and three incredible resorts rife with romance and ridiculous eye candy to infuse into your special day. 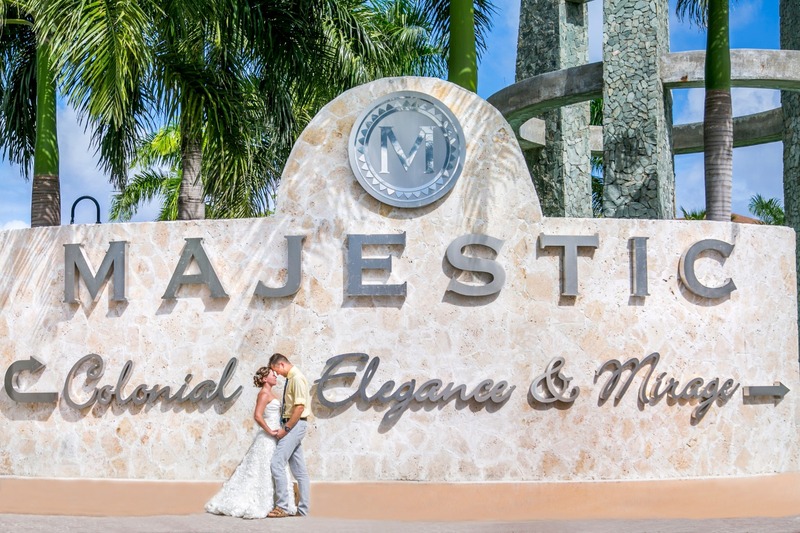 Majestic Resorts: Colonial, Elegance and Mirage couldn't be any more perfect hosts for your wedding. 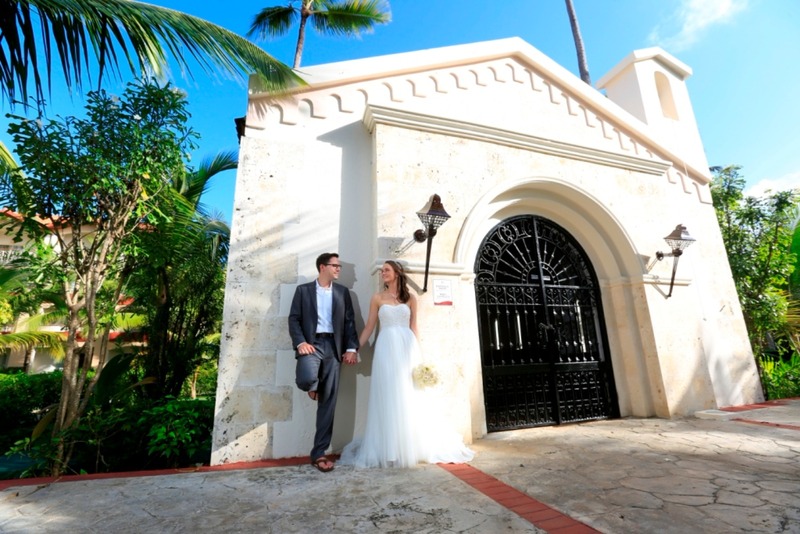 With a terrific team of wedding coordinators and several scenic ceremony locations to scout out to exchange your vows, the properties were pretty much destined to be destination wedding hot spots. Each resort is family-friendly, but also boasts adults-only sections. So, once the kids go off to bed, their parents can have some fun - be it at a cocktail party for the soon-to-be married couple, a romantic dinner for just the two of them, or a no-strings-attached night out at any one of the many bars and VIP lounges. 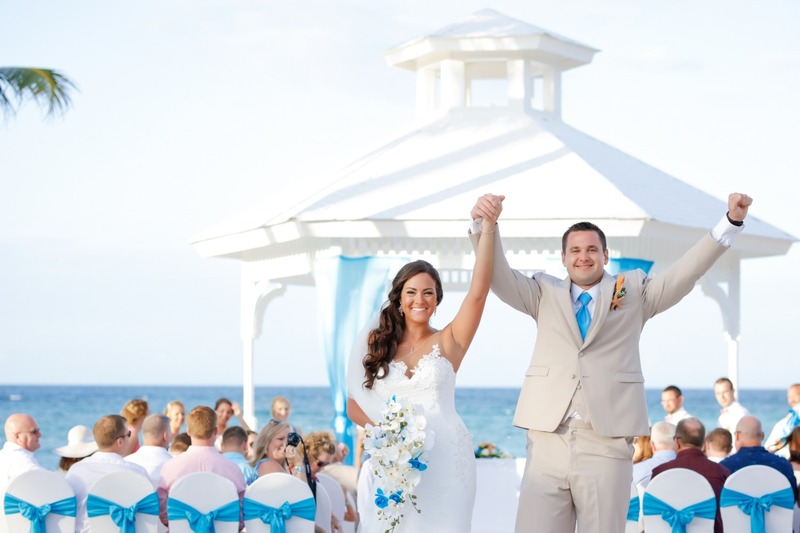 Ready to get to work on your destination wedding? Oh wait, that's right, work isn't part of the equation. Apple Vacations' team of wedding experts will help you choose the ideal resort for your special day in paradise (literally you don't even have to choose, they'll do it for you! ), and handle all the travel details for your group - small or large. Where can we sign up?!? !